As the name suggests, cruise pack mission is all about taking a cruise ship vacation and pausing for a minute or two to help someone - a vacation with mission. I know that many of you reading this already give to charity or help people in your neighborhood. But, I am urging you to do just a little bit more. 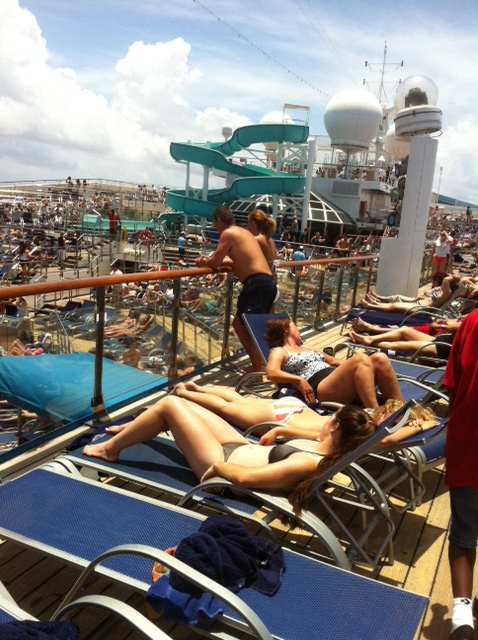 Your Caribbean cruise vacation will take you to many fun destinations. Whether you visit the Western Caribbean - Jamaica, Belize City, Grand Cayman, etc., or you visit the Eastern Caribbean - Dominican Republic, Turks & Caicos Islands, St. Maarten, etc., you will have fun. There is also The Bahamas and the Southern Caribbean. 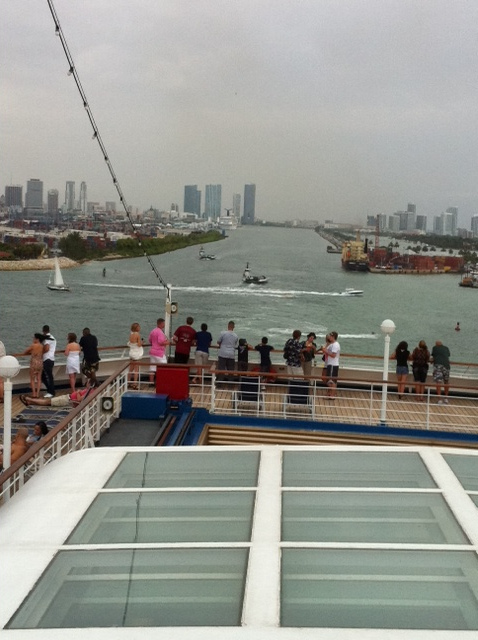 What you may not know is that you generally see the ritzy areas near the cruise ship's port of call. If you were to "remove the curtain", you would see that there are many people in need in these areas. You are on vacation, so we want you to have fun. Pack your bags, your money and swimwear, because your cruise vacation will be incredible. As you pack your bags and plan for fun, we encourage you add some "care items" for a needy child. The "pack" in our title - Cruise Pack Mission - stands for backpack. 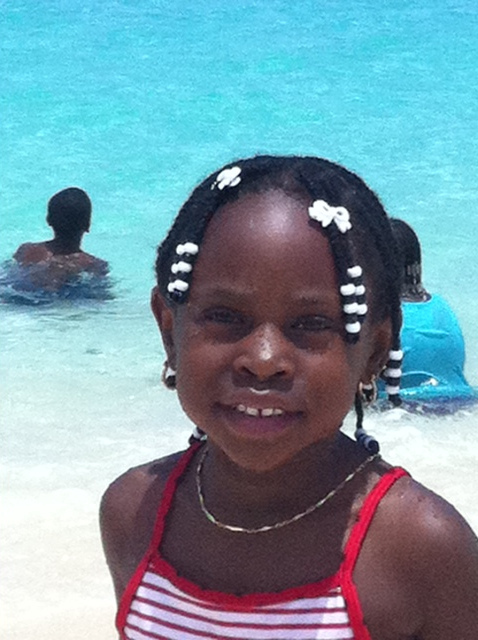 We suggest that you buy an inexpensive backpack and add items that a child on a Caribbean island can use. Suggested Items for Backpack - a pack of cookies; a tube of toothpaste and a brush; small pack of cereal edible without milk; 2 cans of sausage; pencils; a notebook; bars of soap (3 pack); a book of adventures; etc. You can choose other items as you you wish. The items above can be found in any dollar store. In our estimation, your care pack should cost about $20: $10 or less for the backpack and about $10 for the items. While it is true that you will not change a child's life forever by giving away a bag of goodies, you will bring joy to a needy child for at least one day. What do you think? Are you interested in being a part of this vacation with a mission idea? There will be times when I will organize a cruise ship vacation and invite people along with their backpacks of goodies. 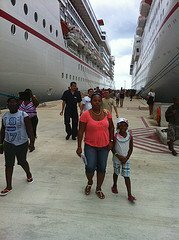 But, cruise pack mission is something you can do at anytime and on any Caribbean cruise vacation. To Whom Do You Give Your Goodies? 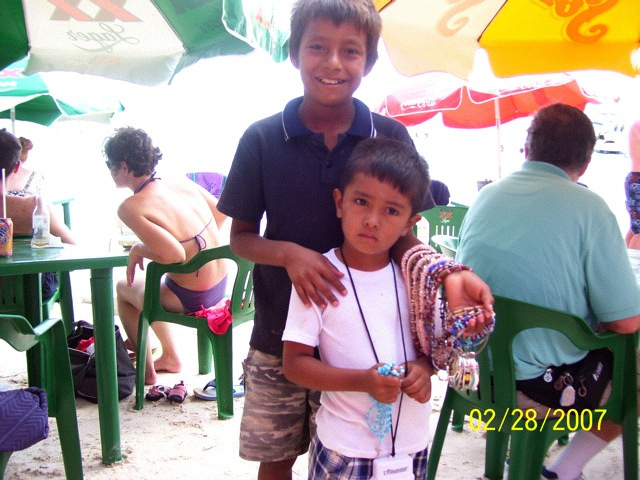 When you arrive at your cruise port, walk outside the pier gate and look for a child who is begging. If not begging, look for a young child selling wares. Also, if you choose to tour the island, ask the driver to show you a place with needy children so you can randomly give away your backpack. This may be harder, especially if several children are around. Tread carefully. Based on my own experience, not all Caribbean ports of call lend themselves to an easy giving away of backpacks. This is because the locals are kept away from the cruise port area. If you are willing to help, we will make it easier for you to do so. We noted above that your care pack should cost about $20. Some of you will even spend as much as $30. Whatever you spend ($20 - $30), Petes Travel Center (PetesTravel.com) will reimburse you one half of the total, if you book your cruise with us. Visit PetesTravel.com to book your cruise. Complete the form below, to indicate your interest in the mission or to ask questions. As I mentioned before, we do not want to take away any of the fun from your vacation. However, I believe that your cruise will be much better if you take a minute or two to help someone. If you participate in this vacation with a mission idea, please share your experience with us upon returning home. Bookmark this page and return to leave your story. Be sure to take a picture of the child you help. Your story may touch someone else to join the cruise pack mission and brighten a child's life for a day - at least for a day. Have a Great Story To Tell? Did you and your family decide to join us on the Cruise Pack Mission? Do you now have a great story about your experience? Please share it and be sure to add a photo, if you have one! 1. 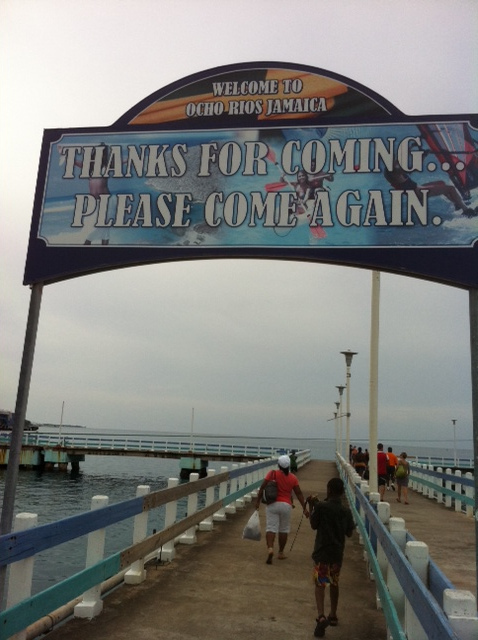 See Cruise Pack Mission Ocho Rios. 2. Join Cruise Pack Mission Cozumel February 2016. 3. 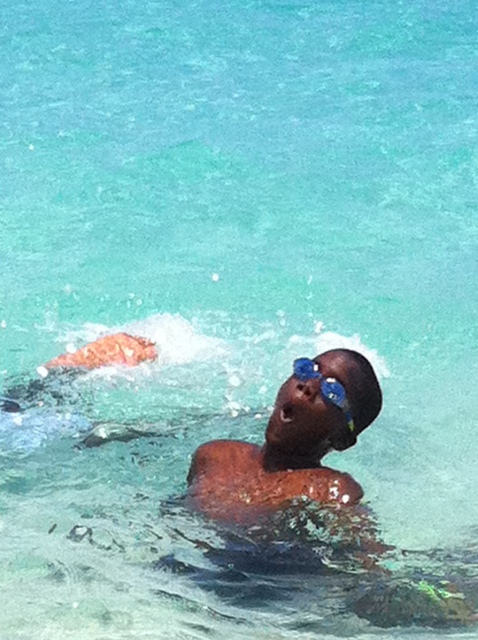 Check out Cruise Pack Mission Falmouth, Jamaica - February 2017.